Wow, thank you so much…I’ve went to 8 companies and they’ve all turn me down on the design. Now I can proudly represent my island. The custom fits like a glove after I spooned the canines out just a touch and fit my bottom molars! It is absolutely great!!! Now for your BNB: All I can say is DAMN! It fits 80-85% as well as the custom and it locks on to my upper teeth; I’ve never had a BNB do that! Easy to fit as well. You do need some tolerance to heat to do it right. I did put a small fold on the back, right, top but I was able to reheat and correct with a spoon. I reheated and fit it again and it is great! Great work and many thanks! It is the most comfortable mouthguard I’ve ever used. I just have to do the bottom imprint one more time. I barely bit down. So one more should do it. Thank you again. For sure will come to you next time and recommend you. Hey got my mouth guard. Hell yes looks nice. I’m very happy with it. Thank you. Thank you for a couple of great mouthguards! If you want to be the best, you have to wear the best! Thank you so much for the beautiful guard. Fits like a glove! I had the Gxxxxxxxx custom guard. It was kind of flimsy. It fit well, but there was no hardened layer. I took a shot in the mouth once and thought my tooth came out. Luckily it didn’t. I’ll certainly get another guard from you in the future. It feels strong and I could actually close my mouth all the way. Thank you so much again Elmer! I really appreciate it. The mouth guard is really good!! Thank you so much. Thank you, guards fit well. Thumbs up!! No problem. Thanks for being straight with me. This is exactly how a business should be run. I just received my mouth pieces. You are amazing!!!!! Thank you so much. I am excited to go to Bangkok knowing that I have your mouthpiece in place to protect my teeth. Now if you could just help me with blocking elbows and kicks. I will not hesitate to recommend your products. Thanks for altering the Gxxxxxxxx mouthpiece as well. Yours is clearly the superior product. Thanks to @elmer_tolentino from Python mouthpieces for taking care of me for this fight. Check them out people. Just did one of the mouth guards. I tried one so I could see how it fit. It is very impressive. For me it is comparable to my dentist made mouth guard. It is exactly as you described it would be. Very happy with this product. Thank you so much. Boiled them and they fit great. We love them!!! I showed John and Claudia & few other people at the gym today and they loved it man so thanks!!! It looks absolutely incredible, thank you so much for going the extra mile and it is fantastic. Better than I could imagine in my mind. My god that looks fantastic!!!! I just received my mouth guard, the design is better than I thought it would be. I tried it on and I did not want to take it out. I don’t know why I haven’t thought of doing this earlier, Thanks! Got my mouthguard today man. Super comfortable! 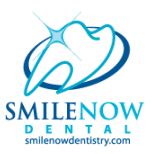 Thank you so much for the work and for the great customer service… 10 stars out of 10! Very satisfied! Do I really need to say anything about this? I think the picture says it all. 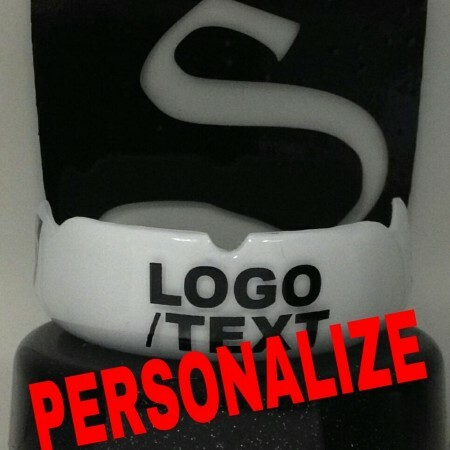 Huge THANKS to Smile Now Dental, Python Guards, and Shurfit Mouth Guards for this state of the art mouth guard, especially for the awesome design!! I didn’t care much for logos on my mouth piece, but after seeing this, I just had to have it. The best mouthguard period. Amazing master work with perfect protection …masterpiece! @ectolentino thanks for the mouth guard. It held up awesome this weekend! I didn’t get knocked out and I didn’t lose any teeth and I got the win! Got my @pythonguards mouth guard in quicker than I thought! Thanks again @ectolentino! Can’t thank you enough!